much time in trivial things. To complete that I've created a small repository on a Apache with a WebDav server with major versions of each general branch of Application servers and Javas. has to pass by the network proxy. Once the https_proxy variable is set UNIX's wget non interactive download tool starts using the proxy_url variable set proxy and the downloads in my script works. For other BSD / HP-UX / SunOS UNIX Servers where shells are different from Bourne Again (Bash) Shell, the http_proxy and https_proxy variable might not be working. The http_proxy and https_proxy variables works perfect also on Mac OS X, default bash shell, so Mac users enjoy. 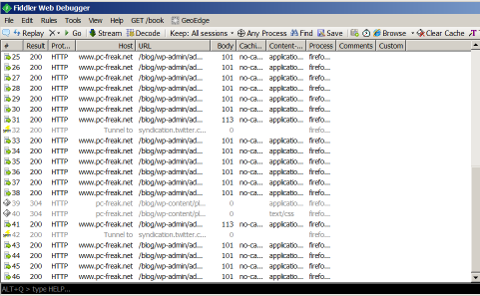 set the proxy so lynx and links, elinks text console browsers does work also anytime you login to shell. Earlier I've blogged about helpful web developer or a web hosting system administrator Web Browser plugins . Among the list of useful plugins for debugging sent / received web content on your desktop (HTTPWatchm, HTTPFox, Yslow etc. ), I've found another one called Fiddler. Convert strings from / to Base64, Hex, DeflatedSAML etc. 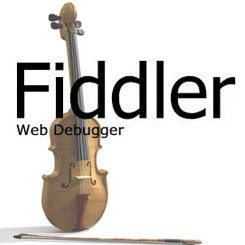 Fiddler is available to install and use as a desktop application (requires .NET 2) or install as a browser plugin. Perhaps the coolest Fiddler feature from my perspective is its decrypt / encrypt in Base64 and Hex available from TextWizard menu. The tool is relatively easy to use for those who have experience in web debugging, for novice here is a video explaining tool's basics. Fiddler doesn't have a Linux build yet but it is possible to run it also on Linux using Mono Framework and a few hacks. A good native Linux / UNIX alternatives to Fiddler are Nettool, Charles Proxy, Paros Proxy and Web Scarab. A classic sysadmin scenario is to configure new Apache webserver with requirement to have an SSL ceriticate installed and working on port 443 and all requests coming on port 80 to be redirected to https://. Before applying the rule don't forget to have Apache mod_rewrite enabled usually it is not enabled on default most Linux distributions by default. To learn more on mod_rewrite redirecting check out this official documentation on Apache's official site. This is achieved through mod_rewrite using the RedirectMatch directive. For instance let’s say we’d like to redirect http://www.pc-freak.net/blog to https://www.pc-freak.net/blog. Of course this rule assumes that the current working directory where the .htacess file is stored is the main domain directory e.g. / . However this kind of redirect is a way inflexible so for more complex redirect, you might want to take a look at mod rewrite’s RedirectMatch directive. Hopefully your redirect from the http protocol to https protocol with mod_rewrite rule should be completed. Also consider that the Redirect directive which by the way is an Apache directive should be faster to process requests, so everywhere you can I recommend using instead of RedirectMatch which calls the external Apache mod_rewrite and will probably be times slower. I was thinking about configuring this on pc-freak since some time now. It took me a while until I found a program that does this for me, anyhow luckily I found it. Itâ€™s called webshell and is working pretty well. Check out the home page of WebShell for download and more info on it. Iâ€™ve succesfully installed it on FreeBSD 7.2.
however most people would desire to have the service running over SSL thus this is mandatory.